Natural limestone has a universal and timeless appeal. Eleganza’s Limestone is a colored-body porcelain tile with an ink jet surface treatment that perfectly mimics the look of real limestone. The series is designed show the beautiful markings found in one of the most popular natural stones. Limestone works in any room of the house and with all architectural styles. 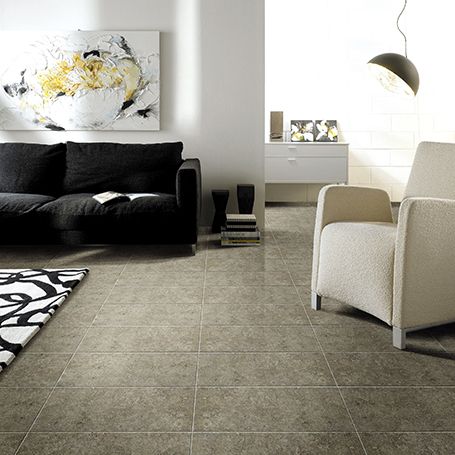 Limestone is part of our beautiful basic tile collections. Recommended for floors, walls, interiors, residential and commercial spaces. Lead times are 1-2 weeks if product is in stock. Most items are stocked. Limestone Bianco Tile, 12" x 24"